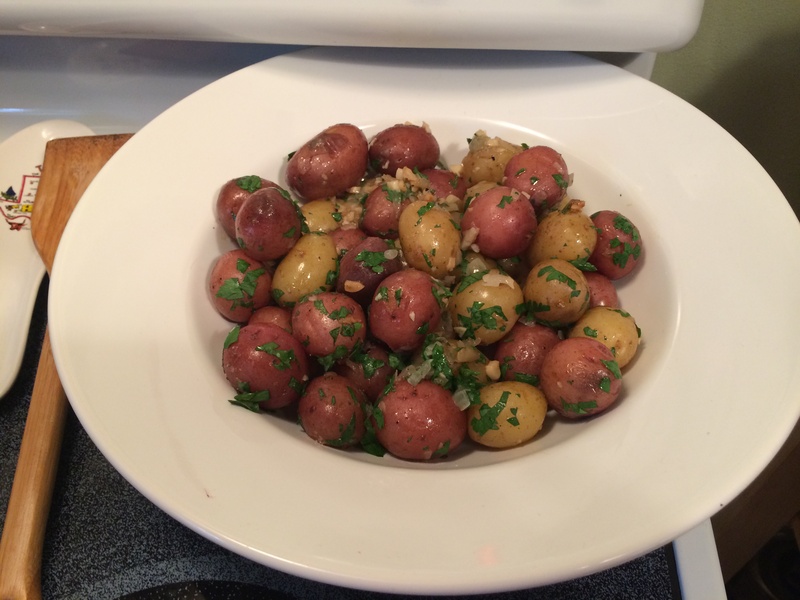 This is the easiest and fastest potato dish you will ever want to make. 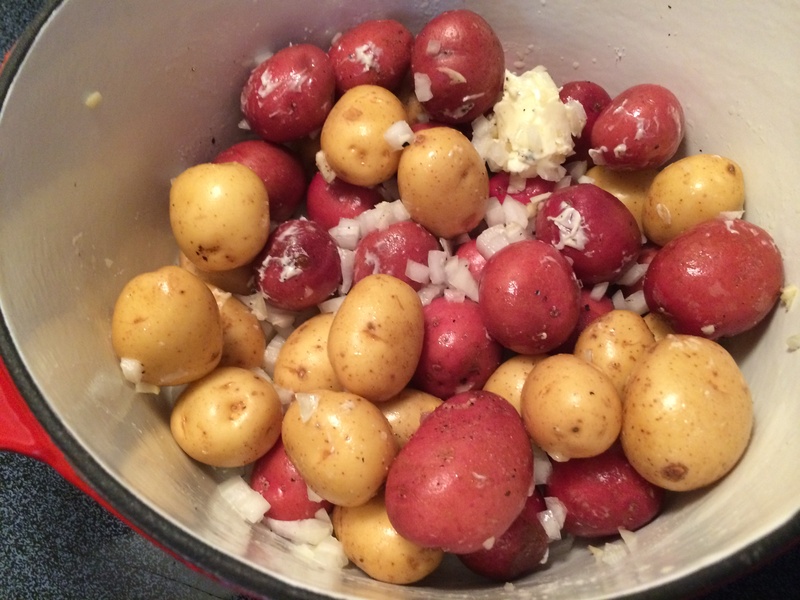 I use baby red and white potatoes for this recipe. Steve caught some beautiful fish today and I’m making Parsley Potatoes as a side dish. In a heavy bottom Dutch oven, add olive oil the butter and melt. Add the diced onions and whole potatoes, Kosher salt and black pepper. Cover with tight-fitting lid. Cook over low heat for 20-30 minutes until the potatoes are just tender, tested with a small knife. Occasionally (every 10 minutes or so), shake the pot without removing the lid to prevent the potatoes from burning. Turn off the heat and allow the potatoes to steam for another 5 minutes. Do not overcook. Toss with parsley and serve hot.